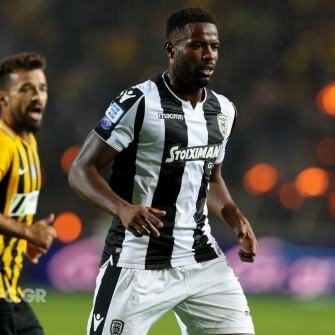 PAOK also have players capable of deciding games at their disposal: killer Prijović . “gold-keeper” Paschalakis . 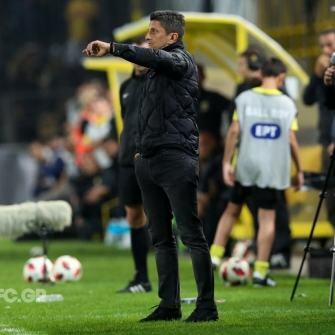 And Crespo , Varela , Μatos, Vieirinha , Cañas, Wernbloom , Jabá , Warda , Biseswar , Pelkas , El Kaddouri , as Răzvan Lucescu pointed out. 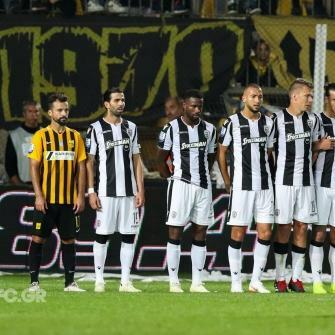 These two elements, quality and character, allowed the “Double-Headed Eagle” to record yet another victory in the Super League Souroti after a entertaining football match. Both sides hit the ground aiming to play football and win three points. 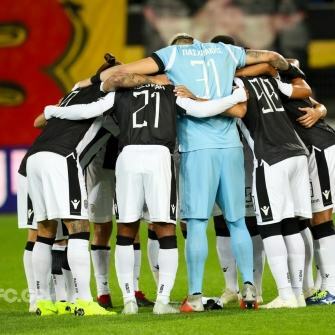 The troops of Răzvan Lucescu determined to extend their winning streak in the Super League Souroti, but faced an early setback. 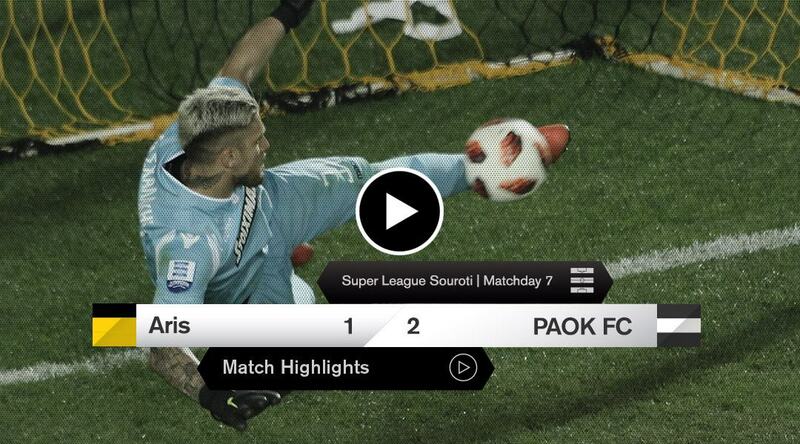 Aris went into the lead with the first chance they got in the game, a shot by Mateo García, after barely two minutes from kick-off. The “Double-Headed Eagle” got control of proceedings after they fell behind. They took advantage of their rivals’ retreat on the pitch and looked for a quick equalizer. Pelkas saw his effort stopped by Cuesta in the 5th minute, but the teams then failed to produce any attempts on goal for the following 22 minutes. At the stroke of the 27th minute, the Spanish goalkeeper of the “yellows” saved Prijović’s powerful shot and then denied Pelkas from point blank. In the 35th minute, Vieirinha chased down a ball that appeared harmless and crossed towards the area. Tzanakakis used his hand to block the effort, allowing Prijović to equalize from the spot. 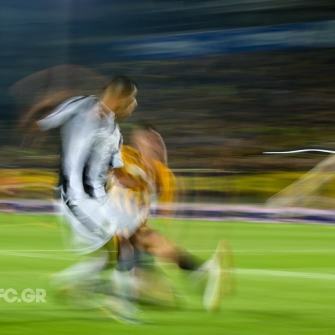 Diguiny tested Paschalakis in the 43rd minute, but wasn’t able to restore Aris lead. After the interval, the pace increased, spaces appeared and the two sides found it easier to create chances to score. 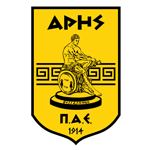 In the 49th minute, Paschalakis saved Diguiny’s shot with his leg. 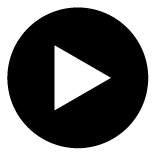 In the 66th minute, Italian referee Doveri awarded Aris a penalty for Warda’s challenge on Gama. Paschalakis however produced a stunning save to deny Younés, in what proved a key moment of the encounter. 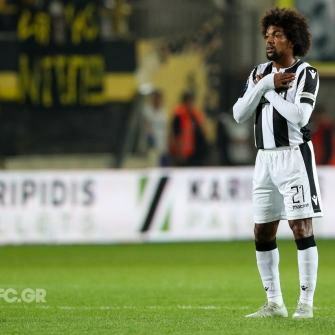 Almost immediately PAOK came close to taking the lead, but Warda’s shot went just wide. As the encounter was drawing to a close, the “Double-Headed Eagle” turned on the pressure and looked for a winner with patience and a clear mind. They got their reward in the 84th minute. 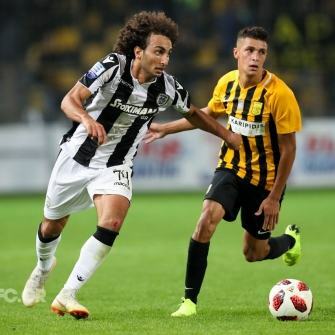 Warda initiated the move passing the ball to El Kaddouri who set up Prijović for what the latter knows best: sending the ball into the rivals’ net. The Serbian’s goal decided the game, as nothing changed in the remaining minutes. 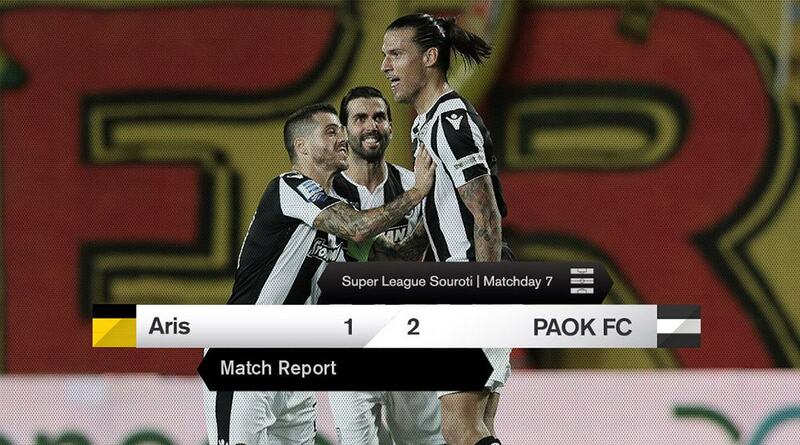 PAOK celebrated their seventh Super League victory in as many encounters and remained at the top of the standings, with 19 points.